Trump has announcement that the position of Attorney General has been offered to outspoken opponent of cannabis reform, Sen. Jeff Sessions. The cannabis community was left reeling this week following the announcement by President-elect Donald Trump that he had offered the position of Attorney General to Sen. Jeff Sessions (R-Ala.), an outspoken opponent of cannabis reform. Sen. Sessions has a long track record of opposition not only to the relaxation of America’s cannabis laws but opposition to cannabis use in general. The presumptive attorney general expressed support for Nancy Reagan’s “Just Say No” campaign against drug use, and has since lamented the Prohibition movement’s decline. Sessions also took issue with comments made by President Obama in which the commander-in-chief told The New Yorker that he did not see cannabis use as being more harmful than cigarette smoking or alcohol use. Did the president conduct any medical or scientific survey before he waltzed into The New Yorker and opined contrary to the positions of attorneys general and presidents universally prior to that?… Lady Gaga says she’s addicted to it and it is not harmless. [T]his drug is dangerous, you cannot play with it, it is not funny, it’s not something to laugh about. Reactions from cannabis activists to Sessions’ elevation was swift, with some condemning what they saw as Sessions’ long-held antipathy toward cannabis use. Trump’s nomination of Senator Sessions for the position of Attorney General should send a chill down the spine of the majority of Americans who support marijuana reform… This archaic mentality is not what we need from our nation’s Attorney General. The vast majority of Americans agree with President-elect Trump’s position that marijuana policy should largely be left to the states… We hope Sen. 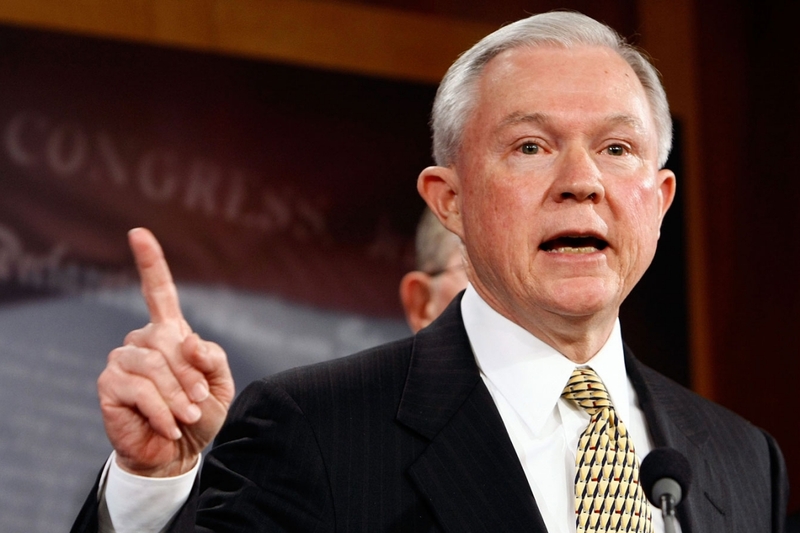 Sessions or whoever is confirmed as our next attorney general will use federal law enforcement to protect our country’s citizens.